What do you do at Advent? I make all our spaces clean and beautiful. I like to see the results of my work: a place that looks clean and beautiful. Because everyone at Advent, as long as I have worked here, is so nice. It's a community. We help each other and support each other. Talk to me about . . . When not at Advent, you find me . . .
Laura Jara has served longer on our staff than any current staff member — over 20 years. For all that time she has kept our premises beautiful and clean. 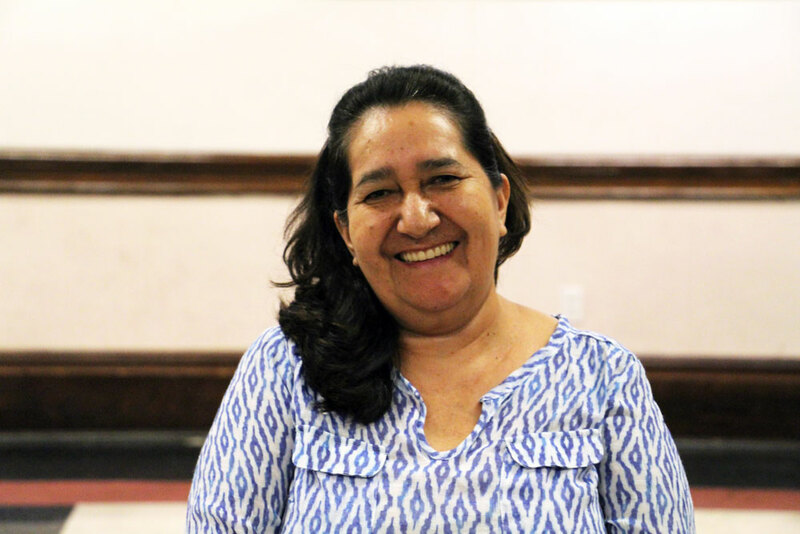 Laura lives here in the Upper West Side, and enjoys music and spending time with her family. Click on any person's picture to learn more.